SSS Triple Stout was a collaborative brew between brewmaster Menno Olivier and beer historian and respected blogger Ron Pattinson. 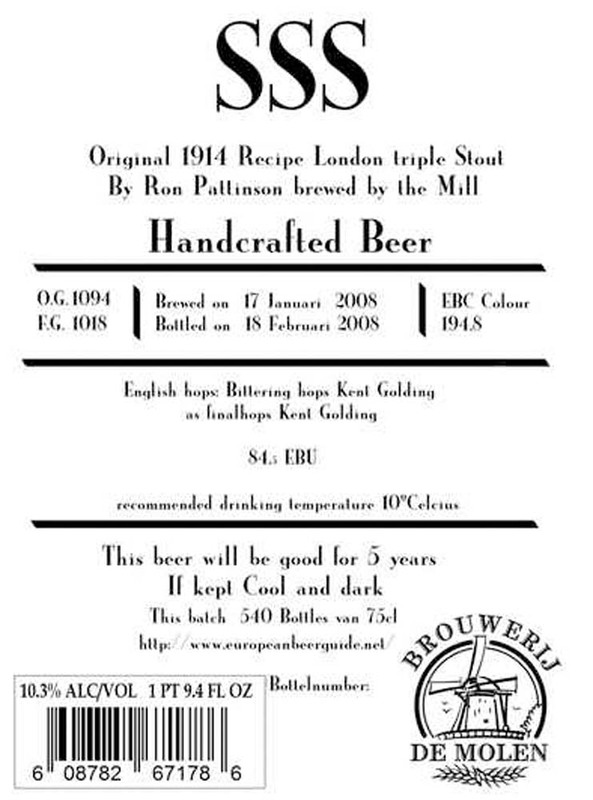 The recipe is Pattinson’s recreation of a triple stout from 1914 London. The original was brewed on July 8th 1914 right at World War I was beginning. Pattinson mentions that considering its strength, this original brew of SSS was very large – 230 barrels. Both beers were brewed in extremely limited quantities. Even Pattinson himself laments how difficult they are to get his hands on: he only received 6 bottles of each. De Molen shared the remaining 754 bottles with us.